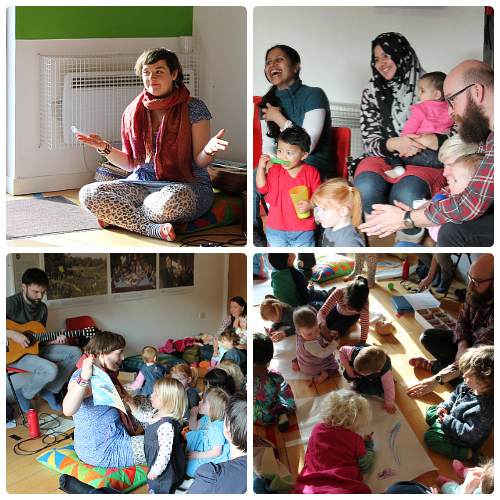 We had a great Parent & Toddler session this week with Jude and Jon from The Letter J. There was lots of singing, storytelling, and drawing going on. The most popular song in the office was definitely the Fruit Salad song. We’ll be singing it for a while to come! 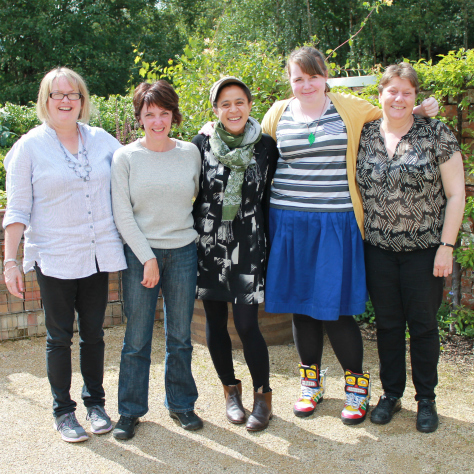 It’s with a heavy heart that The Hidden Gardens bids farewell to Donna Borokinni. Donna started working at the Gardens six years ago as a Cookery Workshop Leader, before becoming our Community Programmes Manager. We’ll miss Donna a lot, and wish her all the luck in the world for her new job. We hope to see her visiting the Gardens very soon! A lovely bright yellow birdbox featuring illustrations by Joe Murray, aged 8 years. 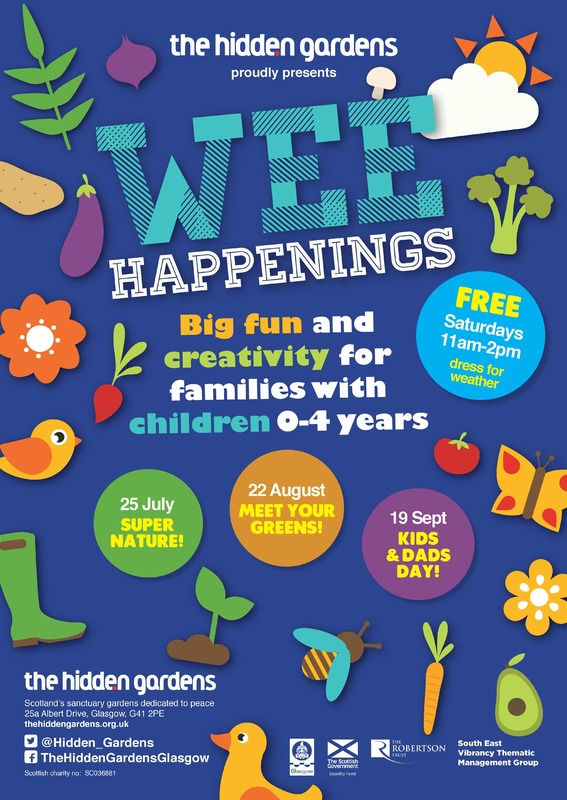 Join us in The Hidden Gardens as we host a variety of fun family activities inspired by our fine feathered friends! These are all drop-in activities so places are limited. No booking required. 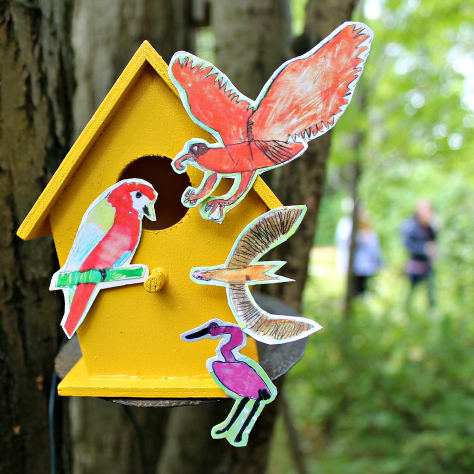 Decorate and take home your very own miniature bird nest box – the sky’s the limit as to how creative you want to be! Learn how to make practical bird-feeders to provide food over the cold winter months. We hope you’re able to join us for one or more activities! 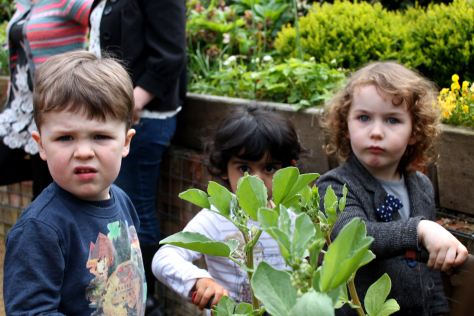 The Parent and Toddler group had a lot of fun, planting up beans that they had grown from seed a few weeks ago. They also planted some tomato plants, and we are very excited about seeing how everything grows. Next week we will be discussing what other things we would like to grow in our barrels – it’s very serious business (if you don’t believe us, look at the photo above). The Parent and Toddler group is on every Thursday (during term time), 1pm – 2.30pm. It’s for parents from G41/G42 Postcodes with children aged 0 to 5 years. This is not just for mums, we welcome Dads, Grandparents, aunties and carers too. Come along! Do you have a children’s party coming up? 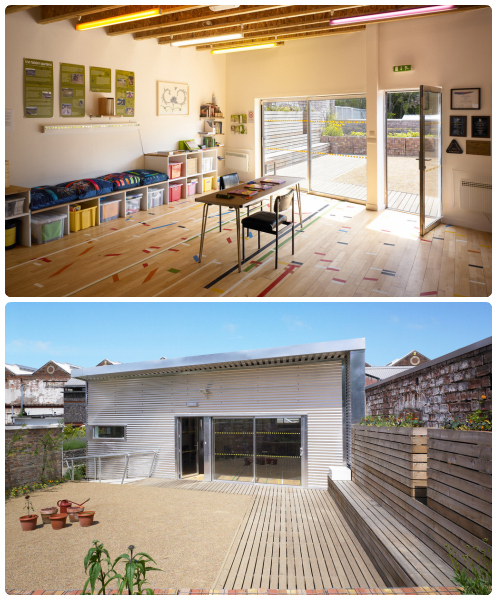 Or a workshop? Naming Ceremony? Meeting? Dance-off? 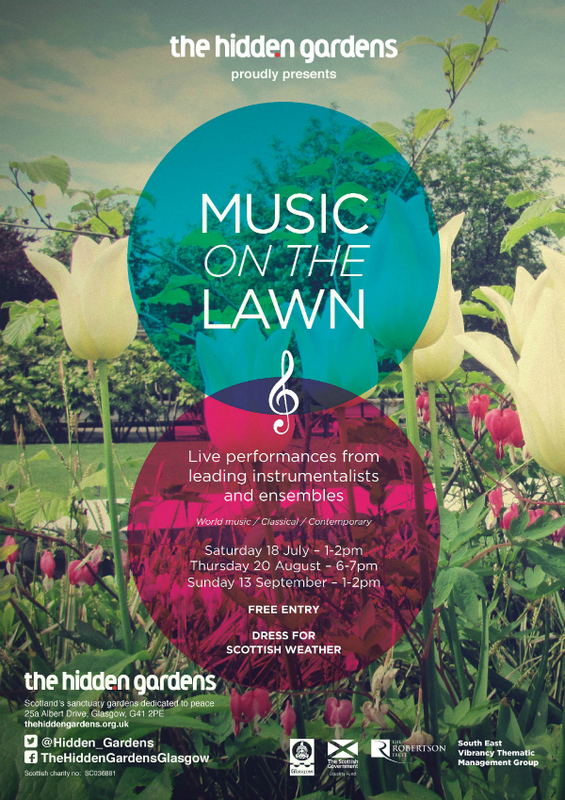 The Boilerhouse at The Hidden Gardens is a popular venue for the above events*, and many more. This light, airy room has kitchen facilities, and access to the courtyard area where we can guarantee the sun will always be shining**. Email our administrator to chat about hiring the Boilerhouse, or call the office on 0141 433 2722. *There haven’t been any dance-offs yet, but our administrator keeps on hoping. 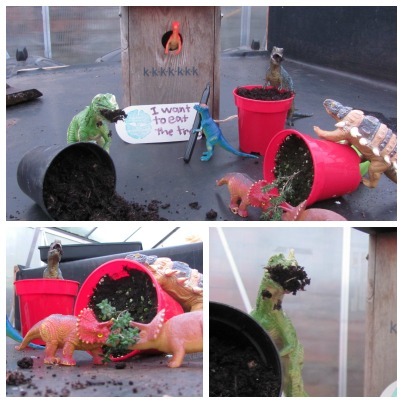 We didn’t think Dinovember would affect us at the Gardens, but then we went into the Glasshouse. Dinosaurs from the Parent & Toddler toy box must’ve broken in last night, and they have made a right old mess. We wonder why they were up and about! Maybe they were jealous of the Gingko being the only thing in the Gardens from the Jurassic/Cretaceous period?